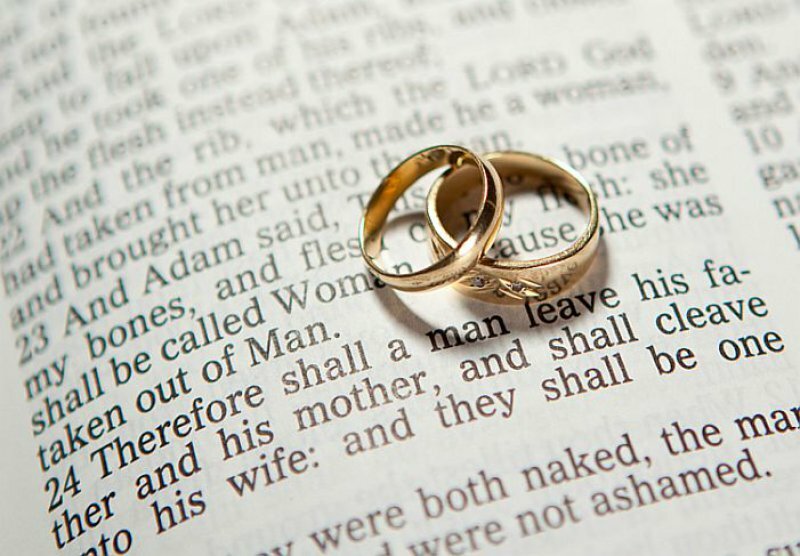 Marriage is a covenant between a man and a woman that has been instituted by God. It undergirds the family which is the bedrock of a civil society. Surely these commandments are outdated? Not so. The commandments are necessary. The reason they may seem outdated is that, for some, God has become outdated. Notice that before a man and a woman submit themselves to one another they must first submit themselves to God. God is the One who enables us to keep His commandments. But aren’t the commandments unfair? Doesn’t it seem that the woman must do the most submission? That may seem true, but which is easier: to wife submitting herself to a husband or the husband loving the wife as Christ loves the Church? This is where Christ enters into the marriage. Marriage is a sacrifice. It is not 50/50. Marriage requires 100 percent from both partners. That means that if one partner does not live up to their end of the bargain the other must still give 100 percent. This concept cannot be understood without understanding the commitment which Jesus made for us. He laid down His life for us so that we might have eternal life with God the Father. Our sacrifice cannot compare to His. Nevertheless, we are required to make a sacrifice. Marriage teaches us how to make that sacrifice. Can we imagine that there will be no arguments in heaven, that people will not need to always be right and the other person wrong? That might be difficult to imagine on earth, but certainly not in heaven. Paul states that marriage is a mystery. It is the closest earthly example of Christ and the church. The Church is the closest example of heaven. Marriage is training for heaven. A postscript for men. See your wife like the one you fell in love with, the one you courted, the one who captured your heart. You may think that she is a different person. She is no more different than you. See her as God sees her – perfect – and treat her accordingly. You will soon see that girlish smile you so fondly remember. She will begin to see you as you should have been all along.